Now What! : Oh No! Woman Sues Zara Clothing for finding a dead rat sewn in her dress. Oh No! 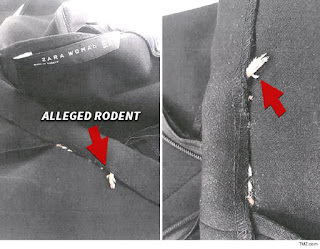 Woman Sues Zara Clothing for finding a dead rat sewn in her dress. A woman is suing clothing giant Zara over a rat or at least part of one, that she says was sewn into the hem of a dress she'd bought off the rack. Cailey Fiesel says she snapped up the dress at Zara's Greenwich, CT store in July, and when she finally wore it to work a few weeks later she noticed a "disturbingly pungent odor." 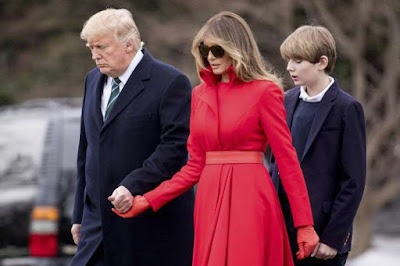 Later on that day, Cailey says she noticed a loose string rubbing against her leg, and when she reached down felt an unusual bulge in the dress. That's when she realized the string was actually the leg of a dead rodent. Cailey says she developed a large rash that doctors diagnosed as a rodent born disease. She's suing for unspecified damages. A spokesperson for Zara tells us, "Zara USA is aware of the suit, and we are investigating the matter further. Zara USA has stringent health and safety standards, and we are committed to ensuring that all of our products meet these rigorous requirements."